The Huber side of the family has been one shrouded in mystery. Because my wife’s grandmother died when my wife’s mother as only four years old and there were no siblings, very little was known about her. I decided to look into her death information. What is her exact date, place, cause of death? First I contacted my mother-in-law. Did she have any additional information? A response from her indicated that she was sure it was 1934. Probably September. She thought her mother was buried somewhere in Brookline, Pittsburgh, PA. I went to the usual search places, ancestry.com, family search, etc., and wasn’t successful. I then looked at find-a-grave and several other grave sites and again, came up empty handed. Archives.Com, who I am not a member at, indicated they had 1 hit for the right name and the right place, but they expanded the search period to a ten-year scope. I really hate paying for information that only has a chance of being right. If they had left the search parameter to the one year I asked for, I would have gone for it, but I figured when they expanded my range to ten years it was because they didn’t find anything in my one year search, so it probably wasn’t the correct record. Next to the Pennsylvania Department of Health. The genealogical request form has many requirements that it wants that I didn’t have, primarily the date of death. I figured I was going to have to request a search. I have had bad luck with searches in other states, paying for a search which yields nothing. Then I found Act 110 – Public Records (aka Senate Bill 361). The Act “provide[s] for public access to certain birth and death certificates after a fixed amount of time has passed. This legislation provides that such documents become public records 105 years after the date of birth or 50 years after the date of death.” Through the act you can get a non-certified copy for only $3, which is good for my purposes and they have indexes. I went to the death indexes and pulled up 1934. I was so confused. The names were all jumbled up, I couldn’t find anyone with the right surname let along the specific person I was looking for. Several years of indices are listed according to the Russell Soundex method of indexing. I read about it and was still confused. Her surname had to be here someplace. I downloaded the index to my computer (a pdf file) and then ran my OCR software (PDF Pen) against it. It is a big file, which took a while, but when it was done, I found my person immediately. Name, place were right, date was October instead of September, but that is understandable. I’m sure it is the right person. I downloaded the order form and will send it today. 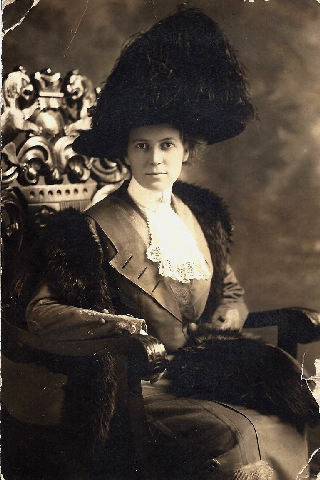 Next, Annie’s mother, Margaret McAllister – she shows up in the 1920 census but not the 1930 census. We know she died before my wife’s mother (1934). I then searched the indices each of the years, 1920 to 1930. Drats! The 1920-1924 use the Russell Soundex system. I searched and searched and finally found a McAllister. I then realized that the Russell Soundex code used a 242 under the “M” do describe the sound. I then quickly searched the other indices, I found one Margaret McAllister who died in Apollo, PA in 1926. What would my Margaret be doing there? Apollo is only 32 miles away from Pittsburgh – It didn’t feel right. 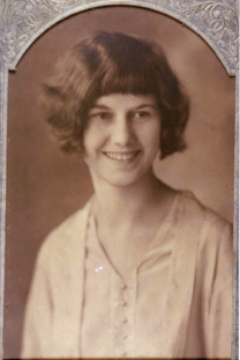 I continued searching then found Margaret McAllister who died March 27, 1927, in Pittsburgh. It has to be the right one. So, I have three death certificates to order and a new site for my favorites. The Pennsylvania Death Indices 1906 to Current minus 50 years (1962) is an excellent resource. Thank you Act 110. The Birth Indices only cover 1906 & 1907 so far but will definitely be a help if you need to find someone in that period. It took quite a while, but I finally received the copies of the death certificates. I ordered them on Feb 2nd and received them May 4th. So plan on 12-13 weeks. The data contained is a treasure trove of information. Thanks again to Act 110 and the Pennsylvania Dept of Health. Next Next post: Find a Grave & the Cobb County Cemetery Book.